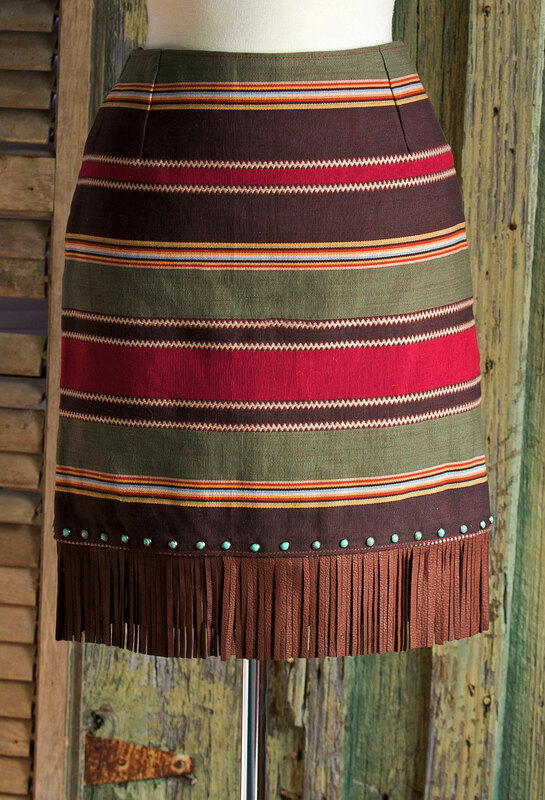 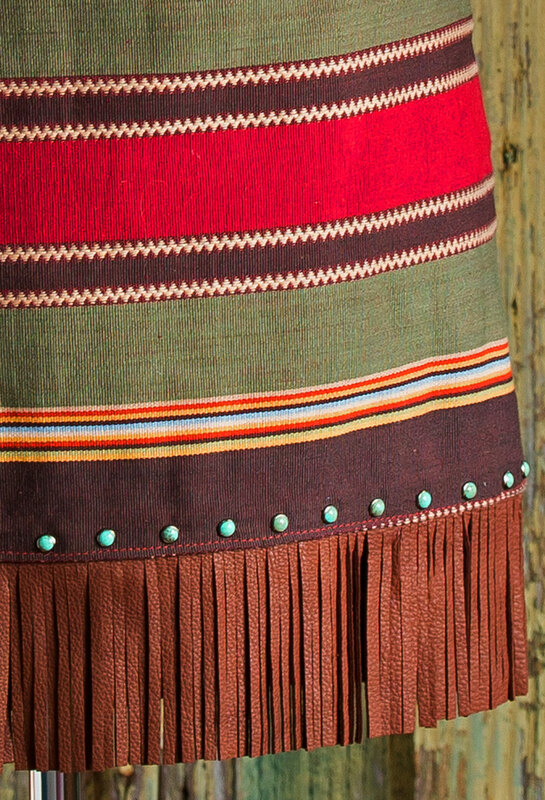 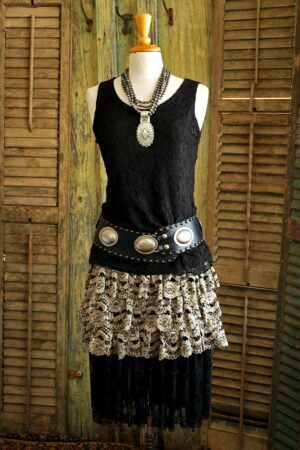 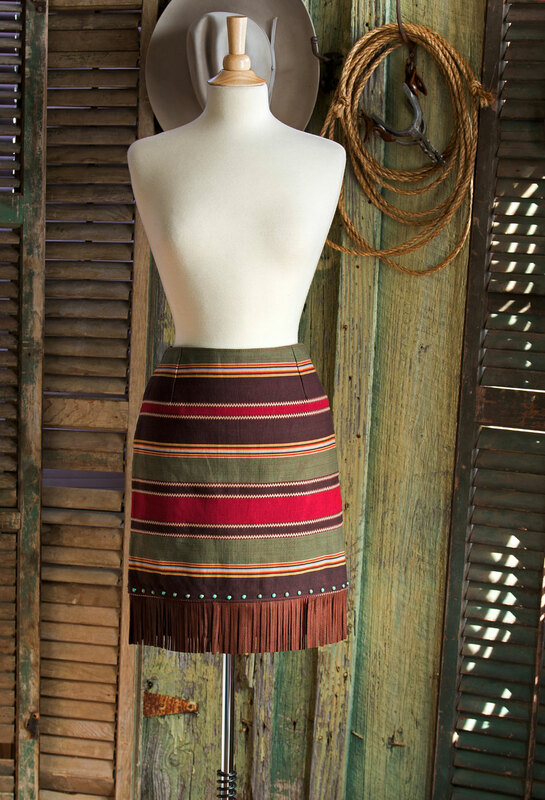 17 inch straight skirt plus 3 inches of deer skin fringe. 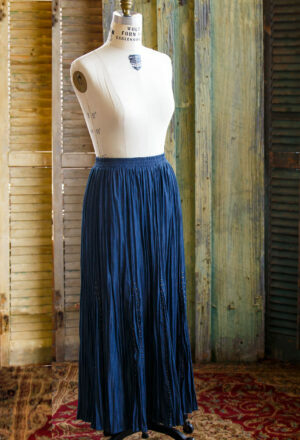 Also featured are turquoise colored stones on the bottom hem. 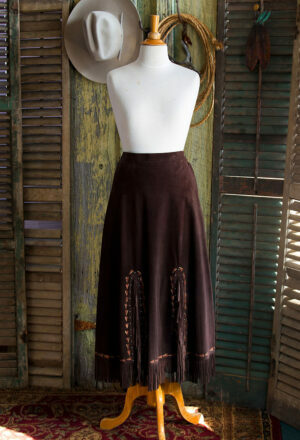 Skirt has a cocktail waist that allows it to ride naturally up or down on the hip and fit comfortably.